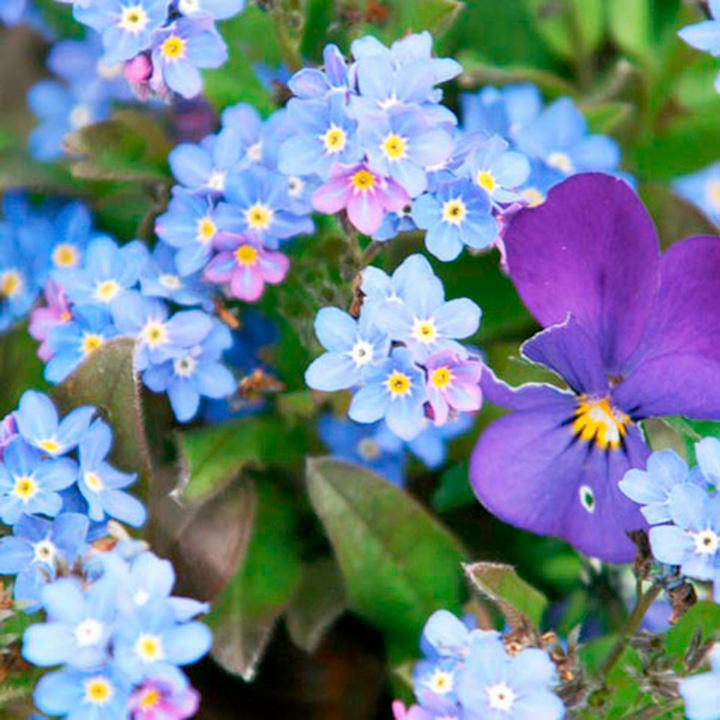 Myosotis Sylva Blue, masses of bright blue flowers with little white eyes. 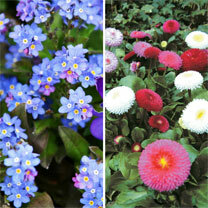 Ideal for edging, interplanting with spring bulbs or in mixed containers. Flowers March-late May. Height 20cm. Bellis Spring Star, a superb strain, with large, fully double pompon blooms. The flowers, in shades of red, rose, white and a rose bicolour, are held above neat rosettes of foliage, making them an ideal edging. Flowers February-April. Height 15cm (6"). Supplied in 9cm pots.